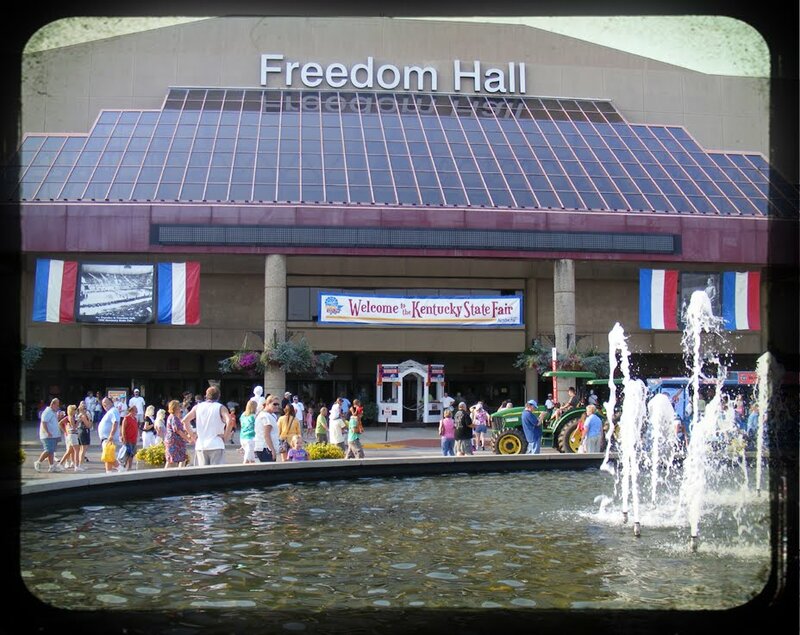 Today we took a trip to Louisville, our first family adventure to the Kentucky State Fair. It was hot and humid, almost a 100 degrees, heading into the exhibit halls was a huge relief. 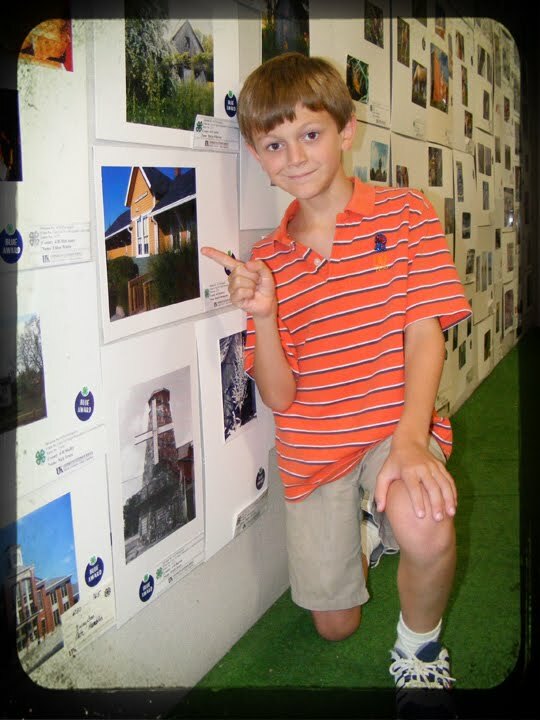 First stop was the 4H Competition Hall to find Robert's photography. He received two blue awards and a white. He was amazed at how many entries lined the walls. We saw cows, sheep, pigs, baby chicks, honey bees, tobacco, and corn. Even huge prize winning pumpkins and sunflowers. I know we only took in a small part of the fair but it was so much walking we were a tuckered out bunch. We couldn't leave though without trying out the fair food ...this Deep Fried Kool Aide booth was the most interesting...and not half bad. Is there anything they won't deep fry? I see the State Fair as an end of summer treat...can it be cooler and more 'autumn-like' next week please? Congrats to the Little Mister. Keep up the "good eye". Great job to Robert!! Whoo hoo! How exciting! It looks like your family had a wonderful time. 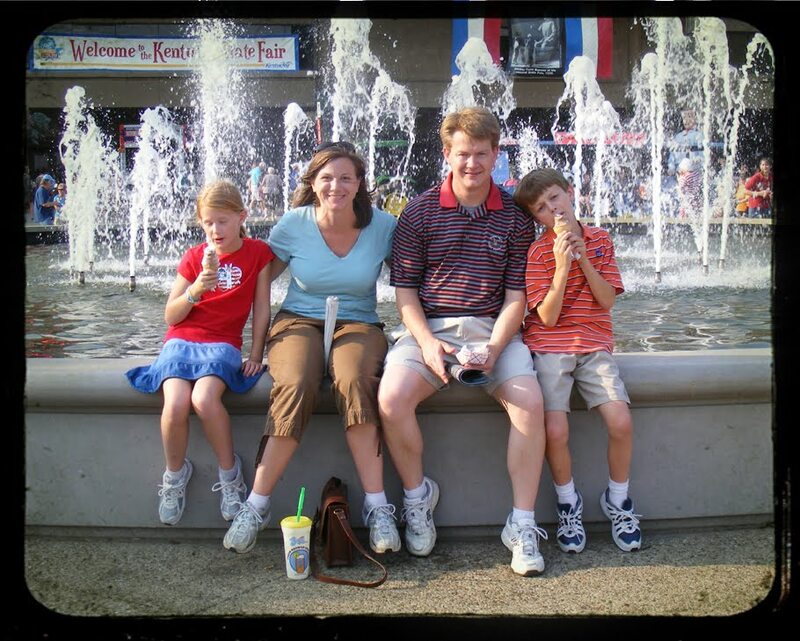 Love the family pic!! Was that deep fried kool aid?? 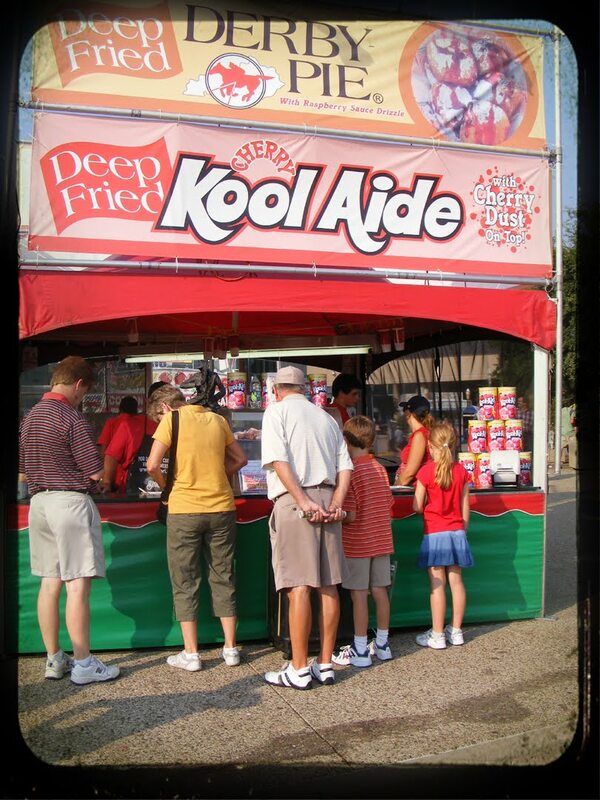 That's really cool that you got to try the fried kook-aid. I hears an interview on NPR some months back with the guy who 'invented' it. I was intrigued. I'm glad to know it's not half bad. Yea for Robert! Love that shot of him - he looks quite pleased!! I also really like the family photo - thanks for sharing that. Question - how do you deep fry Kool Aid! ?